When the ceilings in a room drop particularly low, it can be a challenge to the design process as it cuts the living space a lot smaller. Sometimes, the lowest points of the ceiling aren’t even high enough for a tall personto stand up straight. However, this feature can also work to your advantage. It adds excitement to the top floor of the home, which makes decorating it even more fun. 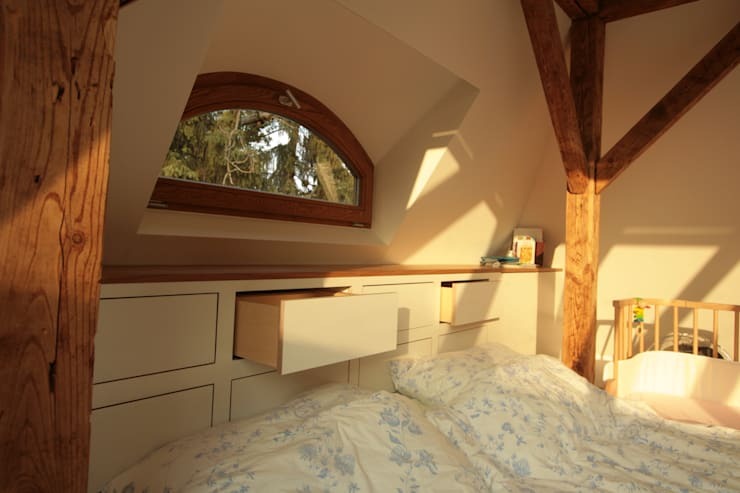 Whether you’re dealing with an unused attic or a major living space under a slanted roof, there are plenty of ways to maximize this cozy corner. Time to think out of the box for this one! 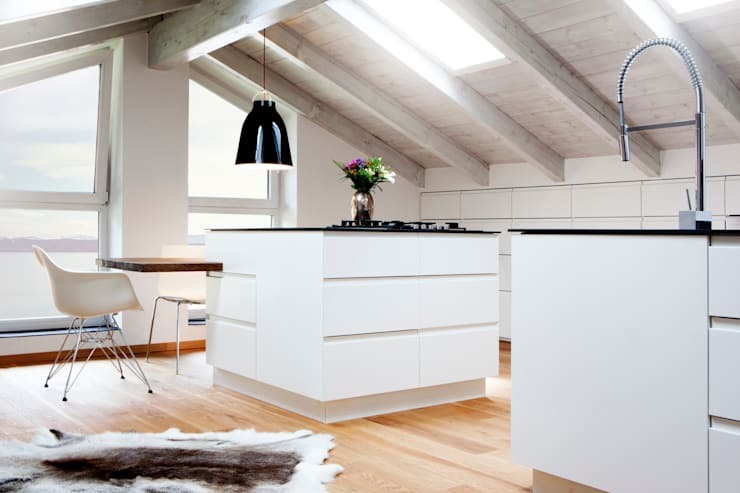 Learn how to work with the angles in Homify’s list of best ways to work with a sloped ceiling. 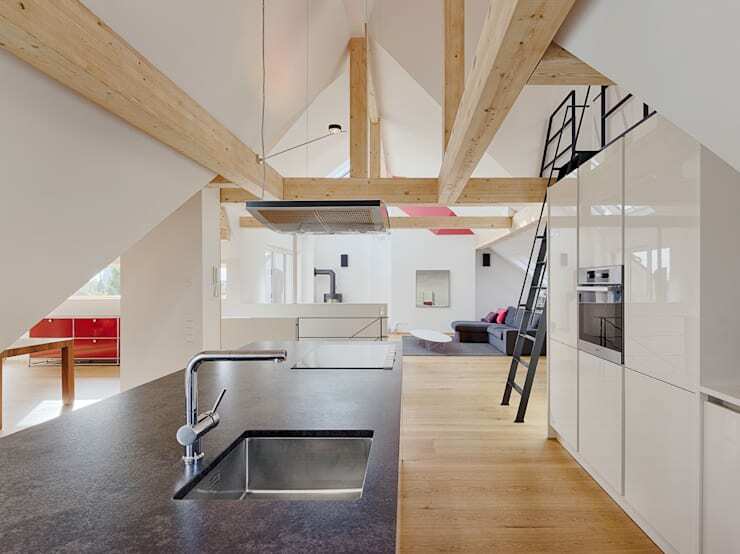 It’s unusual to see low, angled ceilings used as kitchens, but it’s certainly achievable. While cooking equipment are usually placed along the wall, a sloping ceiling can make this impractical. Instead, they can be placed on islands in the center of the room with ample space around it to ensure easy flow of movement. While overhead cabinets may not be possible, built-in storage can be constructed right against the walls. Also, lighting is especially important in the kitchen. Opt for large windows here, to keep the low ceilings from casting too big of a shadow over your cooking area. The bedroom under the roof is certainly the classic. Tucked away on the top of the home, this gives the resident a certain amount of privacy. The intimate size adds to the allure of the nest. Just make sure that there’s ample headspace to sit up while on the bed – you don’t want to slam your head accidentally on the ceiling as you wake up in the morning. However, it’s also crucial to keep the bedroom from being too dark and gloomy. The installation wide windows on the slope can solve this problem, allowing plenty of natural light to enter freely. Heat-resistant roller blinds can also help avoid the incredible heat of stuffy summer days. In a single-storey residence, the sloping roof may be a feature in the main living area instead of just a single room. An open layout makes a small home appear more expansive than it actually is as well as maintaining an easy flow throughout the space. In the featured home above, the sitting area is located by the dining and kitchen areas. A minimalist design is a good style for smaller homes. Without unlimited space to play around with, too many stuff could make the house seem cluttered. Letting the open space and clean lines stand out with minimal décor may be best. For colors, light and airy hues suit tiny spaces well. Some homeowners prefer their bedrooms to be as intimate and cozy as possible. 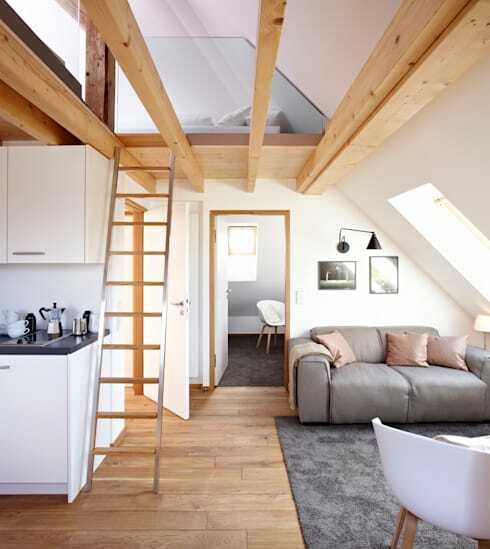 If the slanted roof isn’t enough, you can enlist the help of professionals to add beams and other accents to the room. Wood works well with light colors, enhancing the rustic charm of your very own nest. 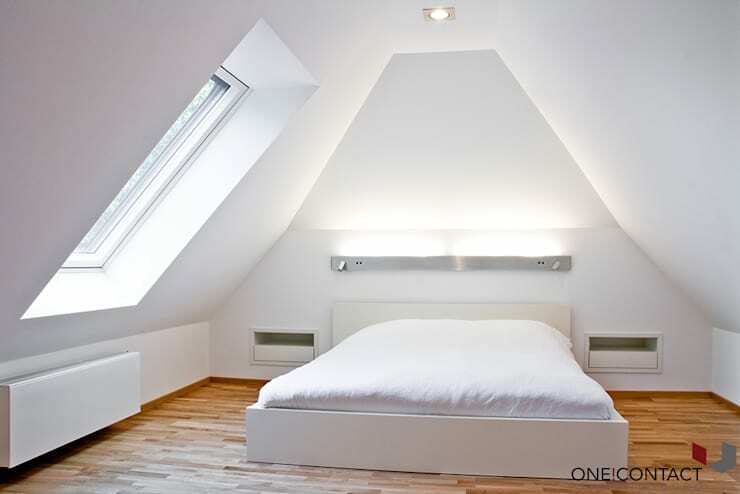 Here, the designer further maximized the available space by building storage space in the nook below the window. The surface can be used for additional décor or even a bookshelf. Slanted ceilings pave the way for the residents to embrace the industrial look. Exposed wooden beams are already a good start to this style, so simply choose equipment and furniture that complement this ultra-modern aesthetic. Elements that usually go well with the industrial style include steel accents, neutral colors, clean lines and flat surfaces. Keep the space open and airy to achieve the best results. Whether you’re using the space as a dining area, a bedroom or a reading nook, don’t be afraid to play around with the design and show your personality. The space may be small, but that doesn’t mean there’s no room to get creative. Just make sure the space doesn’t get too cluttered. Focus on one feature of the room to highlight. Here, the designer opted for a burst of creativity in the dining set, choosing different chairs for an interesting twist. 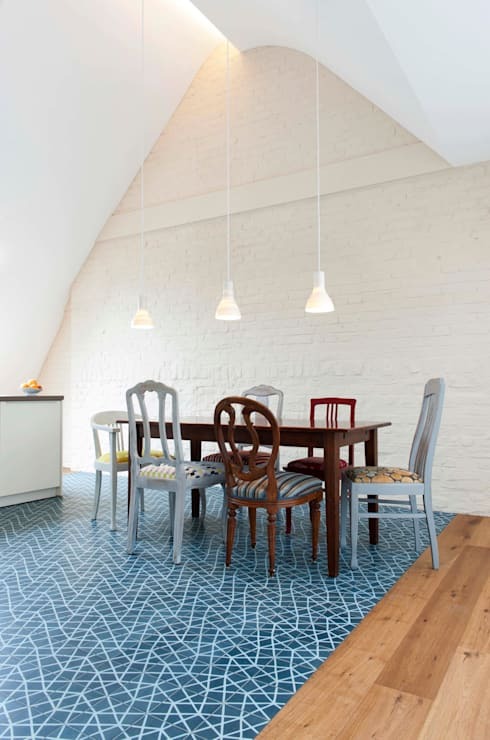 The blue geometric carpet adds another pop of color in the primarily neutral room. This small space uses every inch of space masterfully, transforming a small space into a bedroom with a functional ensuite. It’s equipped with a shower area, bath, toilet, ample counters, and even a sizeable closet for a pretty big wardrobe. 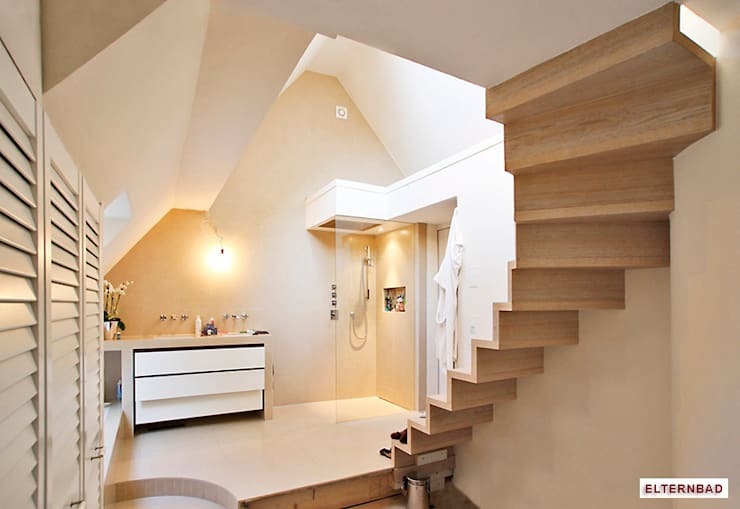 The master bedroom can be accessed up the stairs. 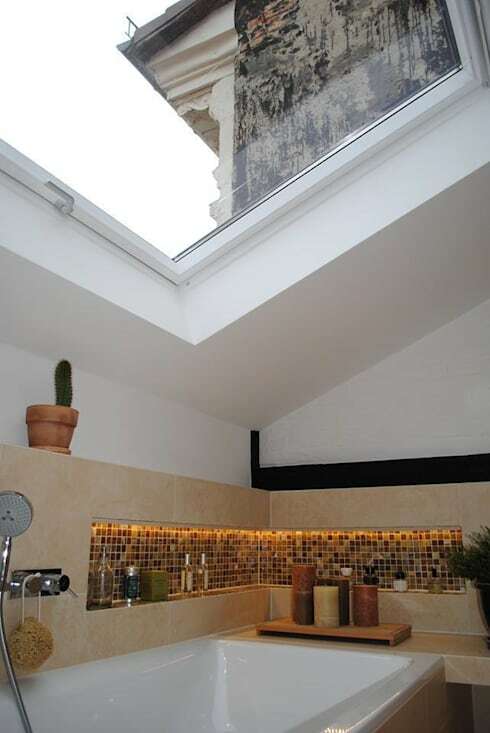 Here’s a beautiful feature to ensure the nook under the sloped roof is always bathed in natural light: skylights. It works in the bathroom as shown in the featured photo, but also in bedrooms, offices or any other room. Not only does it keep the space bright and airy during the day, but it also offers a window to the stars at night. Tip: place the bathtub or your bed right underneath the skylight for the best view of the night sky. For bookworms, a dream house always includes a home library. A small nook with a sloped ceiling is perfect for this, providing a cozy space to curl up on a chair with a good book. Customized bookshelves can maximize every little bit of space available. 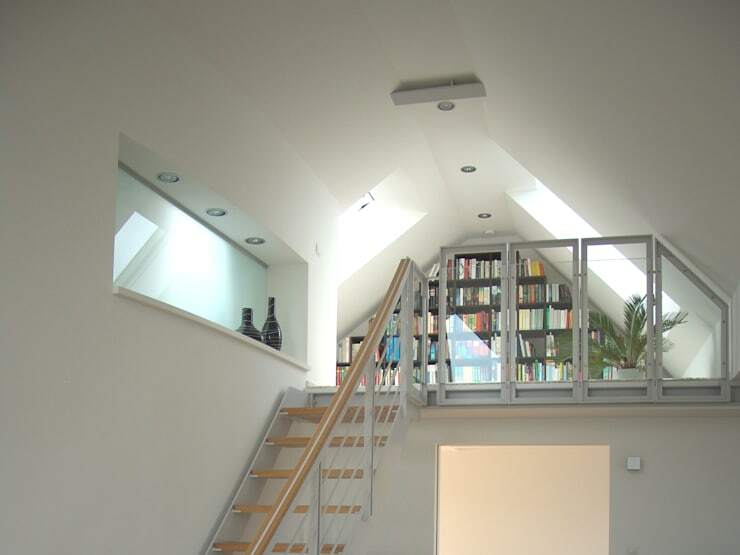 Some homes only have the space for a small corner, but others can actually have an entire loft area constructed for their books. Is there a more ideal spot for reading than this? Similarly, a secluded area on the topmost spot of the home can provide a good place to get some work done. No matter how small the space is, having a dedicated place for work can also help make the other living areas a more relaxing place for you and your family. 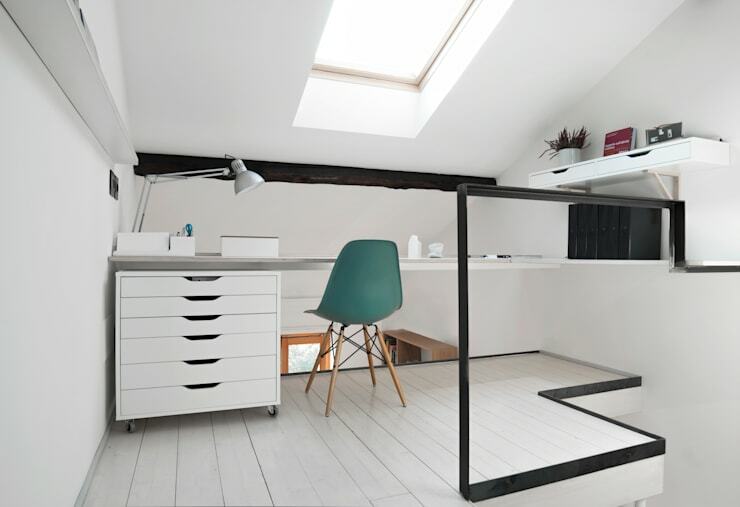 For more ideas on creating an effective workspace, check out our 10 tips for designing the perfect home office.